TrustSystem is one of the most convenient and easy-operating electroacoustic testing systems for the product line using based on the personal computer. 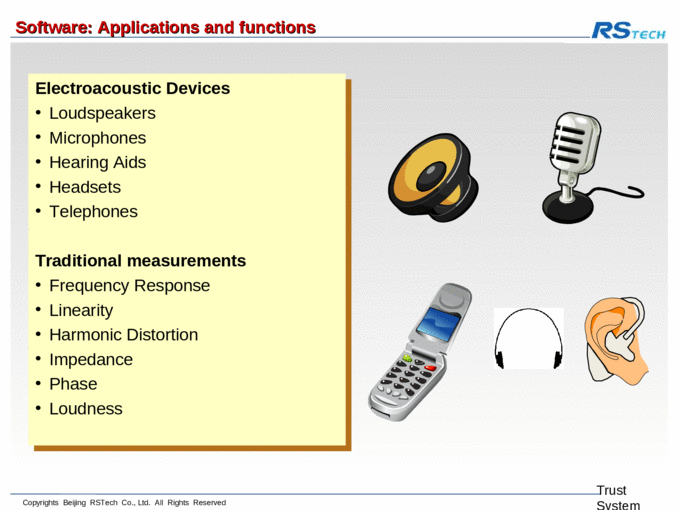 The System can test the Receiver& Speaker fast and exactly. TrustSystem is the System which you can trust. 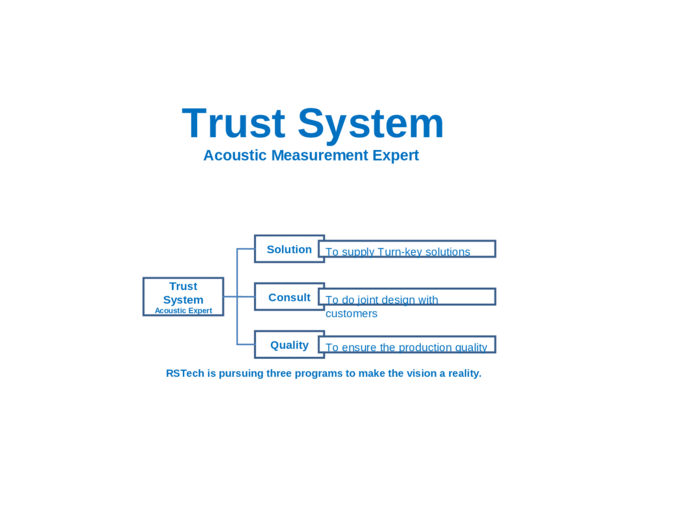 TrustSystem is prestigious for its excellent quality and reasonable price. It will upgrade time by time to meet the customers’ demands, keep pace with times and engage in exploitation, innovation and perfection which would be the best choice for the product line. 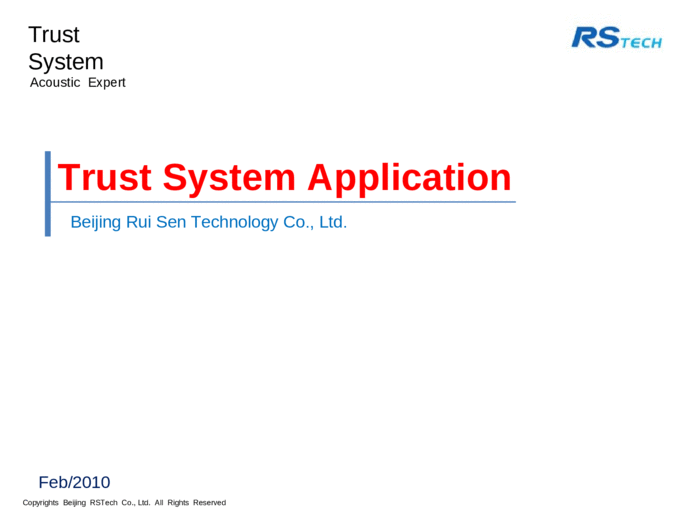 TrustSystem can satisfy special demands to add some modules, so it can extend testing contents, meets the customers’ need. TrustSystem integrates with footswitches, external hardware and software, Tests can be configured for ‘one-click’ or automated operation, The device under test can be compared to a reference standard and generate a simple Pass/Fail result with details of the failure mode.